I wanted to write about some music I have been LOVING lately. I have a friend, Ryan Darton, who just came out with his first CD last month. It's called "I Am A Moth" and it's amazing! He moved to LA a few years ago to pursue his dream of sharing his music with the world and that dream is beginning to come true. He has an incredible, smooth voice and you can really hear his passion and how much he loves what he does. The music is beautiful and covers everything from catchy, fun, and upbeat to soulful, reflective and relaxing. There's something for everyone and it's guaranteed to please! Here is a little sample of what Ryan is all about. 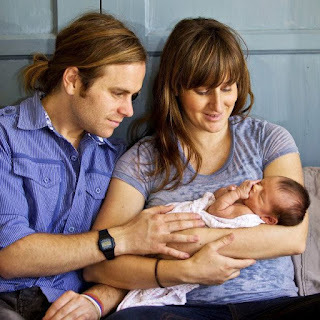 Plus, Ryan and his wife just had a beautiful little daughter and look how amazingly cute they are! Baby #2 Is On It's Way!